One of France's newest and largest national parks, the Parc naturel régional des Ardennes, is a cyclist's playground. By Lynette Eyb. Parc naturel régional des Ardennes is located to the north and north-west of Charleville-Mézières, the capital of the Ardennes department. 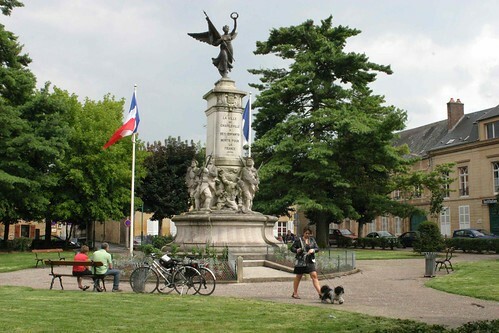 You can join the wonderful Trans-Ardennes Greenway at Charleville-Mézières and ride through the heart of the park until you reach Givet at its northern tip. An Ardennes 'discovery guide' details everything you need to know about the Ardennes department, and features six themes tourist routes that can be followed by bike. The brochure can be ordered by telephoning +33 (0)3 24 56 06 08 or by emailing info@ardennes.com. A dedicated cycling and walking brochure can be downloaded here (it's in French, but the maps are easy to follow if you don't read French). There are just 47 Regional Nature Parks (Parc Naturel Régional or PNR) in France. They are created by the authorities in collaboration with the national government to recognise and protect rural areas of outstanding beauty, and to promote the sustainable economic development of the area.